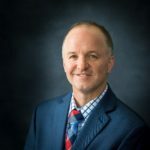 Steve Milby joined Wealth Planning Corporation in February of 2019. Having spent 5 years in the U. S. Navy after graduating from high school, he attended and graduated from the University of Kentucky Gatton School of Business with a major in Finance. Steve began his career in the financial and investment services industry in 2001 with Fidelity Investments working with retail clients, and has extensive background in operations, trading, and customer service. Most recently, he served in multiple capacities with another local RIA firm providing financial planning reviews for clients. Steve also obtained his Series 65 and is currently studying for his Certified Financial Planner (CFP®) exam. Steve is married with 2 children and spends his free time watching his son’s sporting events and his daughter’s dance team events. He is also a proud member of the Knights of Columbus and loves spending time with friends from his church.